Are You Wasting Money on Publicity? Every year, companies waste time, money and opportunity generating publicity that accomplishes little or nothing in terms of tangible business outcomes. Your audiences are unlikely to notice the exposure, or do anything about it. Even with content shelf-life driven by intelligent SEO management, there is simply too much information, too many online and offline media sources, and too little time in the day for your customers, prospects and referral sources to read, see or hear your message. And if they do get your message, there’s often little motivation for them to act on it. Publicity volume does not translate into business results. A single high-value media placement that’s properly merchandised often has greater impact than a pile of press clippings. In fact, publicity for its own sake is often unfocused, with no connection to the company’s underlying value proposition or core messages; generating confusion and apathy among target audiences. 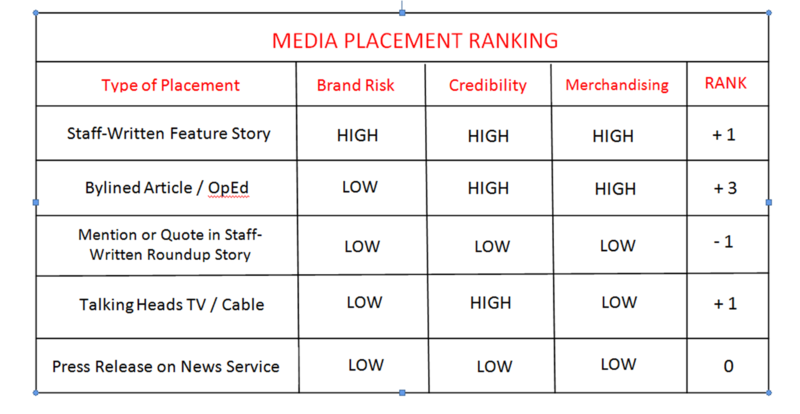 Using this ranking methodology, and as reflected in the chart above , bylined articles and OpEd pieces published in credible sources typically deliver the highest marketing ROI; while inclusion (being mentioned or quoted) in a round-up news or feature story does not score well. 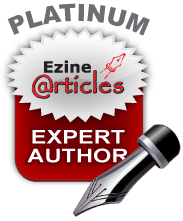 Most home-grown efforts, such as self-published press releases, have very little value. By using this formula, or a similar methodology, to evaluate the potential ROI of individual publicity tactics, and by building media and marketing strategies around only high-value activity,companies can consistently make the connection between publicity and tangible business results.